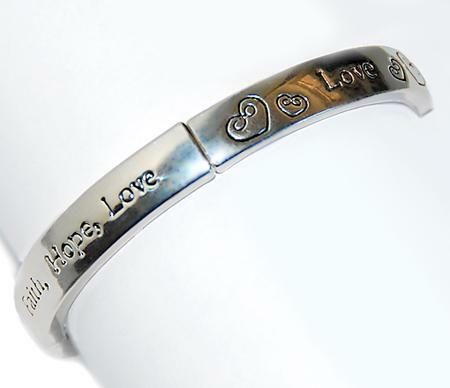 Beautiful Bracelet with engraved Hearts and an inspirational message: "Faith, Hope, Love" in a silver finish. This bracelet actually streatches for a one size fits all. Makes a great prize, Valentine's Day gift, or just to encourage others.